The Watergate Scandal rocked the Nation to its very core. There have been Constitutional and political scandals before and since Watergate, but even with the advances of news coverage, none have had the fundamental impact on the soul of the Nation. Many historians and commentators have stated that Watergate was a case of abuse of power, and this is certainly true. 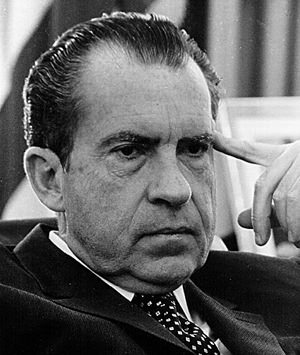 History shows that President Nixon abused his power by exceeding the authority granted him by the constitution. However it can be argued that the media abused their power as well, but their abuse may have stemmed from not fully understanding how much power it held. The advances in coverage are part of what makes this radio coverage of Watergate interesting. By the 1970's Television News had become a respected source of news and information. It lacked behind the Print Media in it's detail and depth of coverage, but no one can deny its growing editorial impact at the time. 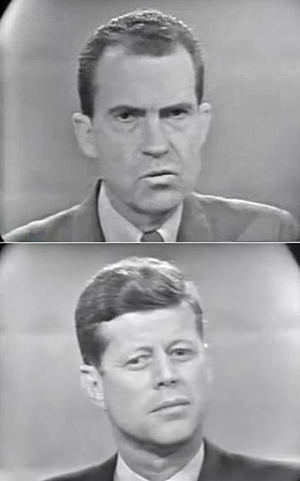 Watergate took place after the Golden Age of Radio,which lasted until TV began to dominate in the 50s. Nixon stayed mostly out of the public eye after the 1960 race. He did run and was defeated in the 1962 California Governor's race (he would quip to the media in his concession speech: "You won't have Nixon to kick around anymore.") He maintained the support of the Republican base, but was hesitant to run for the President in 1968 until encouraged to do so by Evangelist Billy Graham. Nixon won the election running on a platform of restoring Law and Order and bringing an end to the War in Vietnam. Many observers, both inside and out of the White House noted that the administration's primary goal seemed to be winning re-election in 1972. And here it would seem, is the logical beginning of the Watergate story. A definite beginning is hard to pinpoint; Watergate is such a twisted and confusing story. On the evening of June 17, 1972, an security guard in the Watergate Hotel and Office Complex noticed that several locks had been taped open. At 2:30am five men were arrested burglarizing and placing wire-tap equipment in the office of the Democratic National Committee. Address books belonging to the burglars contained listing for Hunt at the White House. Checks and cash in the burglar's possession were also traced back to the White House. On Sept 17, the Watergate Burglars, along with Hunt and Liddy, were indicted by a Federal Grand Jury. On November 7, 1972, Richard Nixon was re-elected in a landslide victory. The "Watergate Affair" soon became the "Watergate Scandal." Central to the scandal were alleged efforts by the Administration to cover-up any connection between the President and the Burglars. The Senate Watergate Committee began their hearings in May of 1973, and Special Prosecutor Archibald Cox was appointed to oversea the investigation into possible Presidential impropriety. It would come to light that Nixon had installed a taping system in the White House that was to record all conversations and telephone calls in the Oval Office. The tapes were considered to be vital evidence to the investigations, and were subpoenaed, but the President was reluctant to hand them over, citing national security. He proposed submission of summary transcriptions of the tapes, contents of which would be confirmed by Sen John Stennis, but this was unacceptable to the special prosecutor and the Senate Committee. On Oct 20, "the Saturday Night Massacre," Nixon ordered the firing of the Special Prosecutor Archibald Cox. Attorney General Elliot Richardson and Deputy Attorney General William Ruckelshaus had both assured the Senate Committee that Special Prosecutor Cox would encounter no interference in his investigation, so they resigned their offices rather than fire Cox. The firing fell to Solicitor General William Bork, who as third in line at the Justice Department, and had not personally made the assurances to the committee. A new special prosecutor, Leon Jaworski, was appointed. In a press conference at Disney World in Florida the President declared "I am not a crook." In time a "Smoking Gun" tape would be released, detailing the information given to the President in the days after the burglary. At the time the Smoking Gun Tape was released, congress was moving to impeach the President. 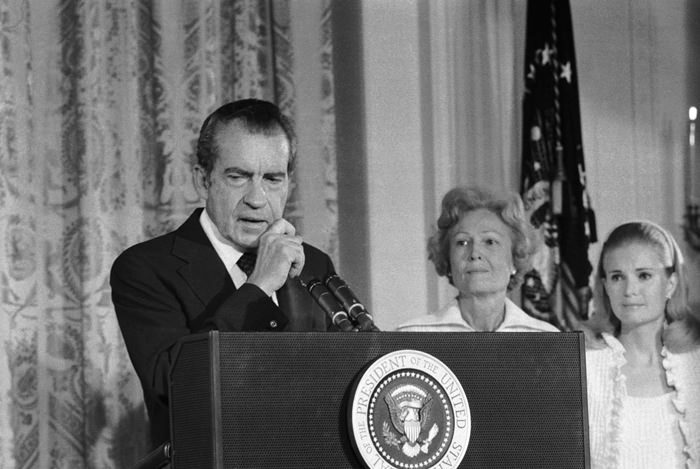 On Aug 8, 1974, Richard Nixon became the first President of the United States to resign his office. One of the most interesting aspects revealed by the radio news recordings in this collection is the shear multitude of crisis faced by the Nation and its President during this time. Though the Watergate Affair brought about the downfall of the President, it could have been considered a relatively minor lapse of judgement when seen against the back drop of the other issues the President was facing. Three of the most pressing issues were the Vice-Presidential Crisis, The Middle East Crisis, and the Inflation/Energy Crisis. 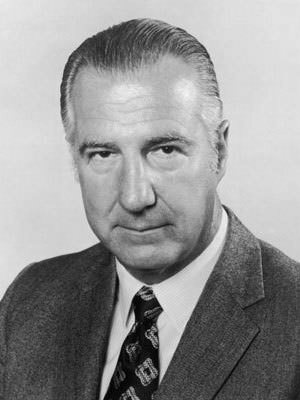 In October of 1973 Vice President Spiro Agnew was forced to resign his office and plead No Contest to Tax Evasion charges in his home state of Maryland. The charges were part of a plea bargain; Agnew had been accused of accepting bribes while Governor of Maryland. Nixon nominated House Minority Leader, Gerald Ford of Michigan, to replace Agnew under the 25th Amendment. Ford was confirmed and took the Vice-Presidential Oath of Office on Nov 27, 1973. On Oct 6, 1973, the Egyptian Army crossed the Suez Canal to attack Israel. The attack was coordinated with the Syrian Army, which attacked the Golan Heights at the same time. The attacks were part of an effort to reclaim territory lost to Israel during the Six Day War of 1967. Although Israel was caught mostly by surprise on Judaism's most holy day, Yom Kippur, (when most of the nation was shut down) Israeli defenders quickly brought the attacks to a stale mate, and were soon making advances. Both the U.S. and the Soviets began funneling large amounts of military supplies to the side they supported. Early in the war Israel let it be known that they would consider a nuclear option if forced "to a point of last resort," and they had indications they were approaching that point. The US supply line was opened to prevent this from happening, but this also forced the Soviets to supply their Arab Allies. This was the greatest threat of nuclear confrontation since the Cuban Missile Crisis. A cease fire which had been arranged by the Superpowers through the UN on Oct 22 quickly fell apart, leading to heightened tension between the US and the Soviets. Egyptian President Sadat called for the Soviet Union and the US to oversea the Cease Fire, and Soviet Premier Breshnev responded by informing President Nixon the the Soviets would act "unilaterally" if the US would not cooperate; in other words the Soviets would openly support the Arabs. While this was occurring Israeli forces improved their positions, and completely encircled the Egyptian 3rd Army. The US pressured Israel to not destroy the trapped 3rd Army, and this lead to both sides accepting the cease-fire imposed on Oct 25. The oil producing Arab Nations were not at all pleased with American support for Israel. Their response was to impose an oil embargo on the US, which made America's ongoing economic problems that much worse. The Bretton Woods Agreements were developed by economists of the Allied Nations during WWII to set up international monetary standards. Basically, the Agreements stated that the American Dollar would be based on a Gold Standard, and that the currencies of other nations would be pegged to the dollar. This system was fine for the US as long as the dollar was stable. However costs from the Vietnam War along with increased domestic spending resulted in high rates of inflation. To counter inflation and to pay off foreign debt, the U.S. printed more dollars and sent them overseas. Seeing the dollar as devalued, other nations began to demand the dollars they held be exchanged for gold, which dangerously drew down the Gold Reserve. As the dollar continued to lose value against European currencies, the Swiss franc was withdrawn from the Bretton Woods agreement on Aug 9, 1971. In order to stabilize the inflation rate, President Nixon imposed a 90 day wage and price freeze, a 10% import surcharge, and without consulting members of the international monetary fund, "Closed the Gold Window," taking the US off of the Gold Standard. The President was credited with saving the dollar from foreign price gougers, but the ongoing inflationary pressures and jitters over a "floating currency" resulted in a Bull Market Stock crash that lasted from Jan 1973 through December 1974 (the US Market would not reach its former levels until Aug 1993). In the middle of this the Organization of Arab Petroleum Exporting Countries announced their embargo in response to the Yom Kippur War. By the last week in Feb, 1974, the AAA reported that 20% of the gasoline stations in the US had no gas to sell. An Odd-Even rationing system was imposed, where drivers were allowed to buy gas based on the last digit of their license plate. The national 55 mph speed limit was also put into place. 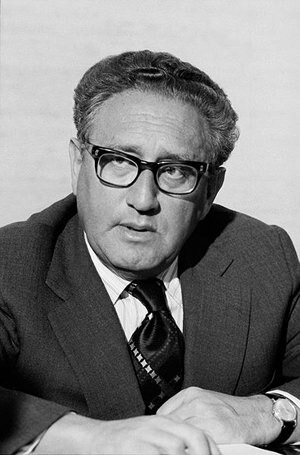 Diplomatic negotiations between Israel and the Arabs, aided by Henry Kissinger, finally led to a degree of peace in the region, and the embargo was lifted in Mar 1974, but the repercussions of the Oil Crisis and the Economic Crisis would be felt for the rest of the 70s. These reports are not history in the academic sense. That requires first hand review of the original material that the reports are based on. What these reports are a valuable up close look at events as they were unfolding. This has value of its own, not only in judging a President and the decisions he made, but in evaluating the current news media with it's omni-present 24 hour news cycle. Note: This collection is the same as disk two of the Nixon Collection. I am enjoying listening to the Watergate CD and noticed several newscasts from WBEN, Buffalo. I grew up in a small town outside of Buffalo, NY and listened to WBEN along with a couple other local radio stations.